Welcome to the Mondo Autumn Newsletter. We’ve got so much to share with you about Mondo’s life-changing work and are so grateful for your ongoing partnership with us. Let’s start with Nepal…. Perhaps no other photo of Mondo’s school re-building programme better captures the challenge of construction and the positive impact that our work is having, than the photo of the new Mondo-funded school at Tartong in our cover image. 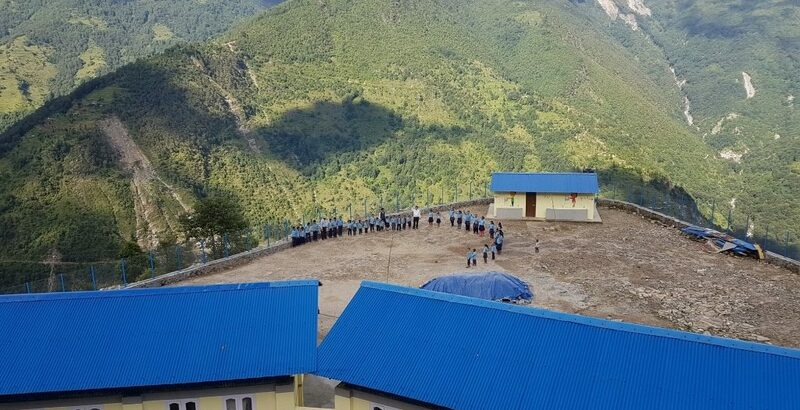 Perched on the top of a mountain at 6,500ft, Tartong village (population 600) now has a brand new school for the local community. This school was one of 470 which was destroyed in the region during the 2015 earthquakes and is the 9th brand-new school Mondo has funded our local NGO partner HELP to re-build. Four further schools are currently under construction to be completed by the end of this year bringing the total of new earthquake-resilient schools to 13. Each one is managed by their local community and is transforming the lives of wonderful, resilient, confident young learners. Once students leave Mondo schools we are committed to supporting those wanting to progress. We are therefore delighted to announce that through the generosity of our donors including St. James’s Place Charitable Foundation we have managed to launch our 2018/19 scholarship programme. Here are just some of the 60 scholars who can now continue with their education (equivalent of A levels) through our scholarship programme. You can read a full article about this amazing programme which is run by HELP here. Over the last few months, Mondo has made great progress in developing the PIQUE programme for improving the Quality of Education. Michael Dennison, a highly-skilled former Head Teacher and Ofsted Inspector very generously volunteered to visit Mondo Schools in Nepal and N.E India to support the teachers in co-designing a unique Self Evaluation Framework. This simple tool helps Head Teachers to identify their own improvements in 5 key areas of school life which they are keen to develop in their schools, using a standard matrix. Identifying and then capturing evidence for improvement in areas of Leadership, Management, Curriculum, Behaviour & Values as well as Building Standards has already made a significant positive impact. During Michael’s visit he ran regional training sessions with clusters of school teachers and we are tracking the progress of this work closely. You can read about Michael’s work in a recent blog on our website, along with further details of the methodology and roll-out here. Mondo Trustee, Hirsh Cashdan, the driving force behind the PIQUE programme, is traveling to Nepal and India this month to continue to support the development of this work, especially with the schools where we currently directly fund 12 teacher posts. This autumn we are sending 8 experienced teachers from the UK to work in Kalimpong and support the PIQUE programme across the 13 schools Mondo supports there. If you would like to consider joining a future volunteer trip do let us know through our website. The Mondo small grants and loans programme in Tanzania is going from strength to strength. We are delighted that two new major funders have joined us so we can help even more local HIV+ women in Moshi and Arusha establish their own businesses. This includes women like Wandisha who used to work in the market selling rice but could not continue this when her health deteriorated. She was given a Mondo grant in 2017 and was then able to start her present business, running a small café. Wandisha works from 10am to 10pm seven days a week. 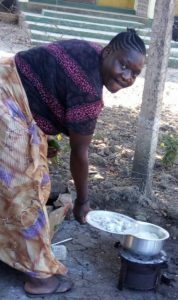 Today her two children (11 and 15) are now in school and help look after their grandmother who lives with them and is also supported by Wandisha’s business. This is extremely hard work, but is the sustainable change and real difference our small grants and mentoring are making, and to date, over 1,050 women have been supported through Mondo’s Tanzania grants programme. Just last week we had a wonderful donation from the Zurich Community Trust enabling us to extend our grants and loans programme to HIV+ women in Tanzania. 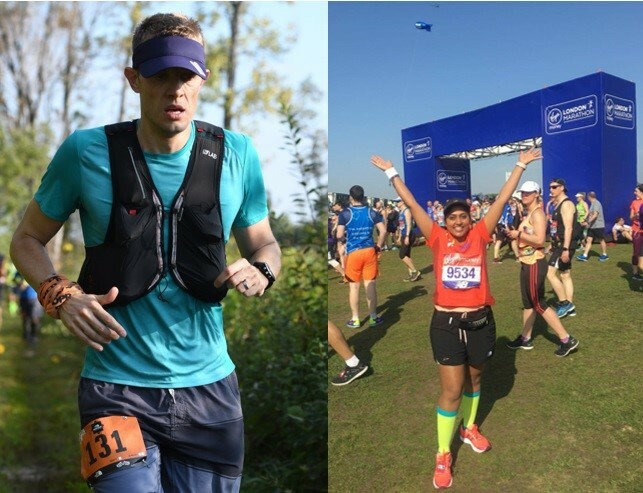 Earlier in the year, Kajal Gathani ran the London Marathon specifically to raise funds for Mondo’s girls’ hostel in Nepal where her friend Glynnis (Leon’s Mum) is continuing her voluntary work with the girls for another 4 months. This money will go towards employing a hostel manager and improving facilities at the hostel. Do get in touch if you’d like to do something extreme (or less extreme) to support Mondo’s work!